Lala Lala perform at The Empty Bottle for their debut record release show with DEHD and Choral Reefer on Friday, September 28, 2018. Fans mingle between sets for Lala Lala and DEHD and Lala Lala's record release show at The Empty Bottle on Friday, September 28, 2018. Fans mingle while Lala Lala perform at The Empty Bottle for their debut record release show with DEHD and Choral Reefer on Friday, September 28, 2018. A fan of Lala Lala, holds the newly released album during the band's record release show. Emily Kempf of DEHD, holds her heart after the Lala Lala record release show at The Empty Bottle on Friday, September 28, 2018. 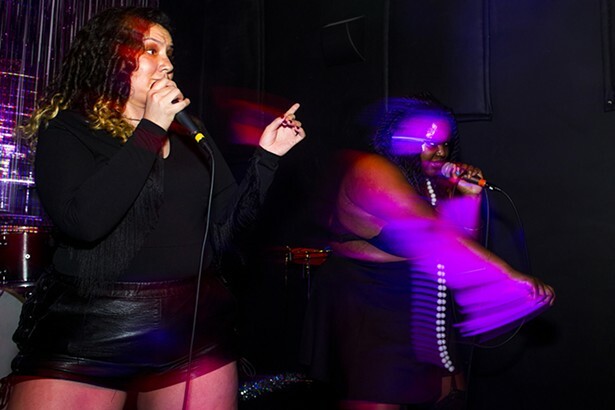 DEHD, and Choral Reefer opened as supporting acts for Lala Lala. After the show, Lala Lala fans talk to band members including Lillie West, during the band's record release show at The Empty Bottle on Friday, September 28, 2018. 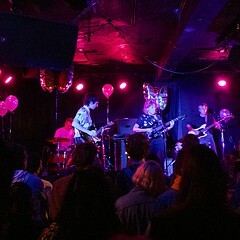 Fans have members of Lala Lala sign their debut record "Lamb," at the band's release show. A collection of merch for sale after the Lala Lala record release show . 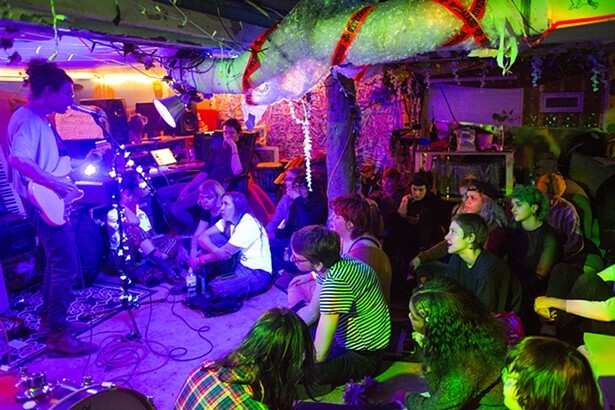 Lala Lala filled the venue's claw machine with merch, memorabilia, and trinkets, before their show. Fans check out the claw machine filled with the bands merch another trinkets, during the Lala Lala record release show. 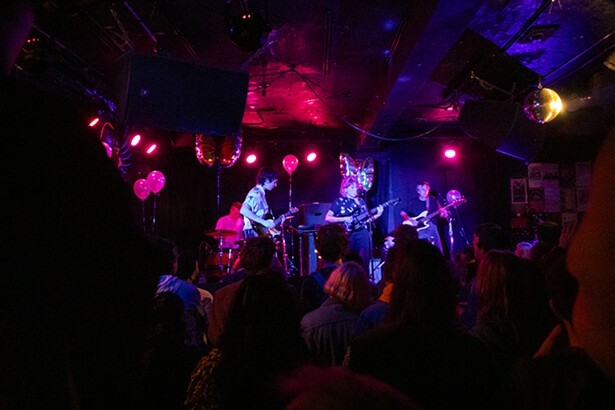 DEHD, comprised of Jason Balla, Emily Kepmf, and Eric McGrady, an opening band for the Lala Lala record release show at The Empty Bottle on Friday, September 28, 2018. Emily Kempf, left, and Eric McGrady, right, of DEHD, after the Lala Lala record release show, where they opened with Choral Reefer at The Empty Bottle on Friday, September 28, 2018. A fan chats on her phone outside The Empty Bottle after purchasing "Lamb," Lala Lala's debut record.